Julie Titus – Minga With Us! Julie is the mother hen of our group, though she doesn’t have (human) kids of her own, she’s always making sure the board is well fed and taken care of…we don’t know what we’d do without her! Julie joined the board in 2010, but first became involved with our work as a volunteer in El Páramo in 2002, while working on education projects with community health promoters and women’s groups. She graduated from Macalester College in St. Paul, MN in 2000 with a degree in Women and Gender Studies. 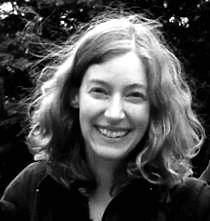 Julie currently does fundraising for environmental and consumer advocacy groups, and lives in Portland, OR with her husband and dog.